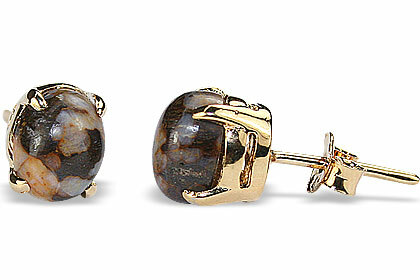 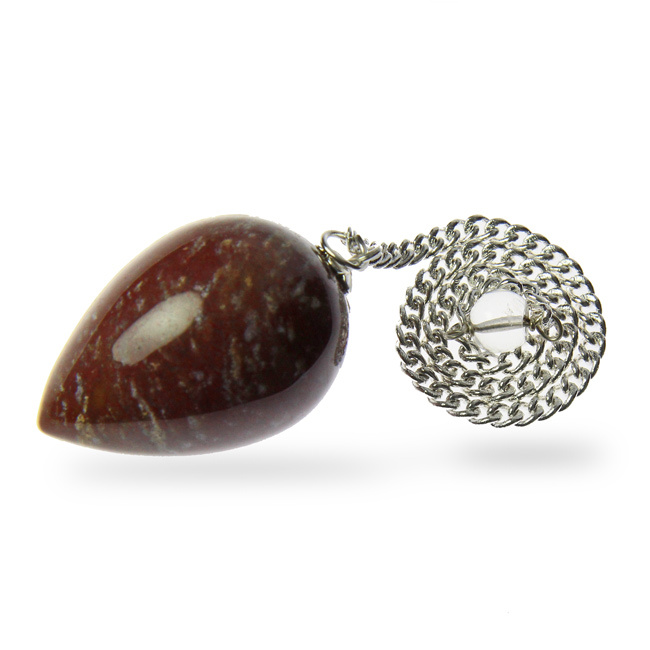 Smooth drop of pink jasper with a silver-tone chain that is capped with a small crystal ball. 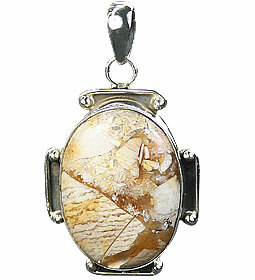 Chain is 6.5″. 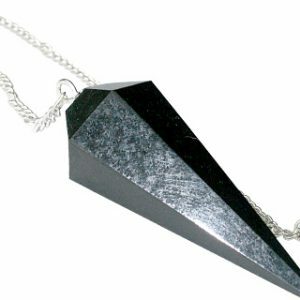 With stone, the pendulum measures approximately 8″.